There are many people who say that The Tedeschi Trucks Band is the best band now touring. That is subjective, of course, but it strongly suggests that they are very, very good. TTB is a true second generation southern rock band in a couple of ways. Of course, the most obvious is that Derek Trucks’ uncle Butch was a founding member and drummer in the Allman Brothers Band. Derek joined the band as well. 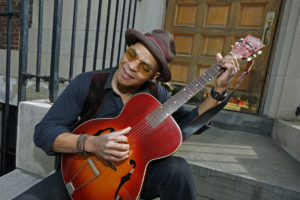 The band’s website cites Sly & the Family Stone, Miles Davis, George Jones, Joe Cocker, Nina Simone and even Indian sarod master Ali Akbar Khan as influences. Click here or on the image for information from Amazon on album “Live From the Fox Oakland.” Here is the info at iTunes. Making the call on which video to use for the top of this post was easy. Most obviously, “Keep on Growing” is a great song. Beyond that, it offers a bit of symbolism. 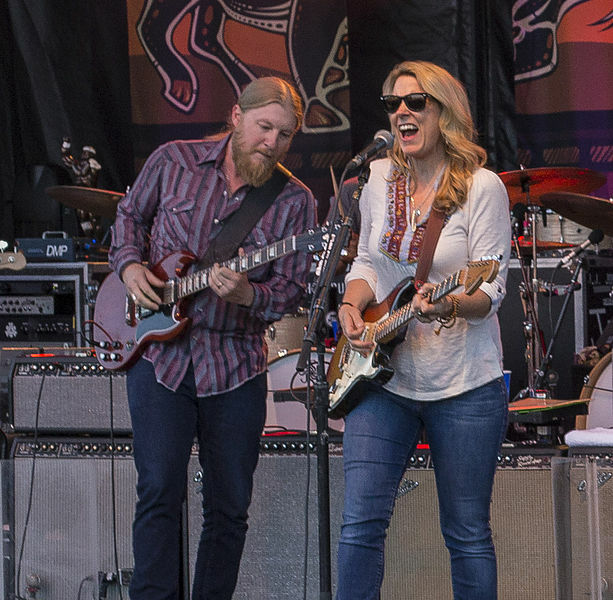 The Tedeschi Trucks Band is evolving–growing–as a next-generation southern rock band. It has more influences and plays more varied music than the southern rock bands of the 1970s and 1980s. It is a big and varied (and growing) group of musicians. Its website says that TTB has 12 members. Among these are a flutist, a saxophonist, a trombonist and a trumpeter. That number of people and instruments represents physical and artistic growth: I may be wrong, but I doubt that Molly Hatchet had a flute player. The third reason to choose “Keep on Growing” is to acknowledge Duane Allman and the link to The Allman Brothers. That’s the weakest of the three reasons, obviously because “Keep on Growing” is a Derek and the Dominos song and, according to some commentary on the web, it’s not even certain that Duane Allman played on the cut. But it does act as a shout out. “Let Me Get By,” which is on a live album from the band, is below. The Tedeschi Trucks Band, according to Wikipedia, was formed in 2010 (though I can’t find confirmation of the data on the band’s website) Previously, Susan Tedeschi and Derek Trucks ran their own bands. 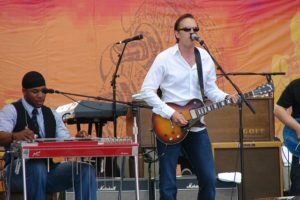 They toured together as Derek Trucks & Susan Tedeschi’s Soul Stew Revival in 2007. In addition to forming a band, the two got married. The first album, Revelator, won a Grammy. The song may be a shout out to Son House, who recorded the best known version of the blues song “John the Revelator.” I have nothing to back that up, but would like to think it’s so — even though the song is not even on the record. Unlike Trucks, Susan Tedeschi is not rock and roll royalty. She was, however, accomplished. Relatively early on – her Wikipedia profile is a bit light on dates, but this seems to be when she was about 20 – Tedeschi was opening for the likes of B.B. King, John Mellencamp, Taj Mahal and Bob Dylan. She met Trucks while opening for The Allman Brothers, though that was later. An interesting associate of young Tedeschi is Tommy Shannon, who is a true link to the greats. Shannon played bass behind Johnny Winter and Stevie Ray Vaughan. The two were married in 2001. It’s clearly a cool family: The kids’ names honor Charlie Parker, Charlie Christian, Khalil Gibran and John Coltrane. The profile at the TTB’s site seems to be out of date. As of that writing, the band had eight members. The current Wikipedia entry says that there are 12 musicians. This clearly suggests that the group’s aspirations are to build on the classic electric blues structure, which generally includes four of five positions (i.e., lead and rhythm guitar, drums, bass, keyboard and vocals). Clearly, it is far more than a classic blues band. Kofi Burbridge playeed both keyboards and flute before his death earlier this year. There also is a saxophone player, a trumpeter, a trombonist and three harmony vocalists. TTB is a big band rooted in the blues and rock tradition. Rock and roll is about taking ideas and actual songs from earlier folk and blues players, reinterpreting and amplifying them. 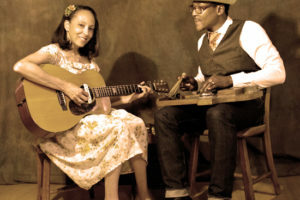 TTB does this and, in parallel, expands the genres of music that is being played. The band released a live album early this year. The review at Arts Fuse of “Live From the Fox Oakland” reinforces the idea that TTB is not a blues or a rock band. It’s a crossover group that plays all genres. The clip below, “Let Me Get By,” is as much jazz and gospel as rock and blues.